Lots of heavy-hitting talent... all together in a lighthouse! Oof... starts compellingly enough, but the mid-point twist is really quite silly. So much crying, so little authentic emotion. There’s been a lot, maybe too much, written about the overlap between movies and novels. Because they sit in a sphere that exist just outside the remit of what we might coin as “popular entertainment” (in short: they take ages to read), the term novel is now used as a byword for a more cultivated, high quality and serious artform. 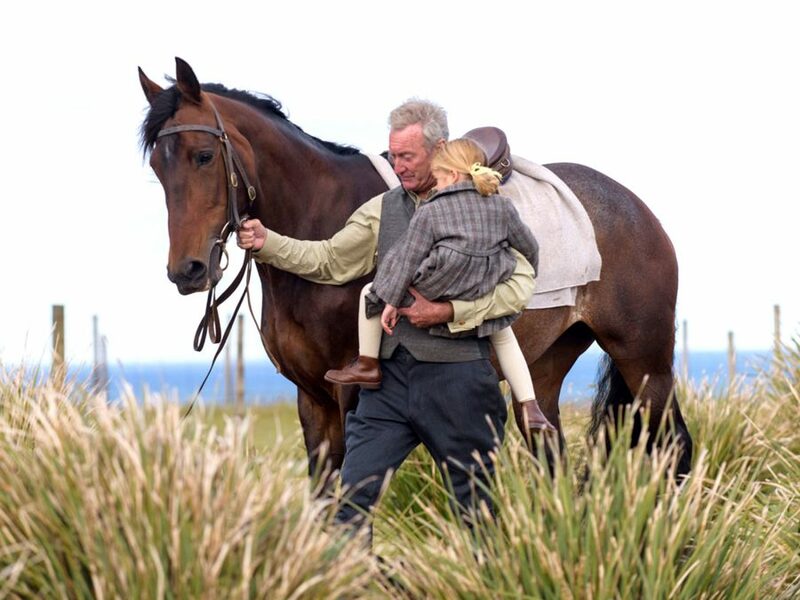 The new film by Derek Cianfrance, The Light Between Oceans, has been adapted from a 2012 novel by ML Stedman, and if you didn’t know that, it wouldn’t take a literary genius to guess it. Why? Well, it’s hard to say exactly. There’s a constant, nagging feeling that something vital is being lost in translation. The story is an over-seasoned gumbo of lumbering contrivances and logic-defying melodrama. Perhaps the big difference is that, with a novel, you’re forced to activate your imagination, thereby creating a natural psychological partition between fictional events and reality. The act of reading is a constant reminder of a contrived, fanciful and possibly metaphorical world, and that is just fine. Film is a literal, visual medium, so seeing an interpretation of the words instantly does away with any nuance, any feeling that this thing could be bigger than it instantly appears. And that is fine too. 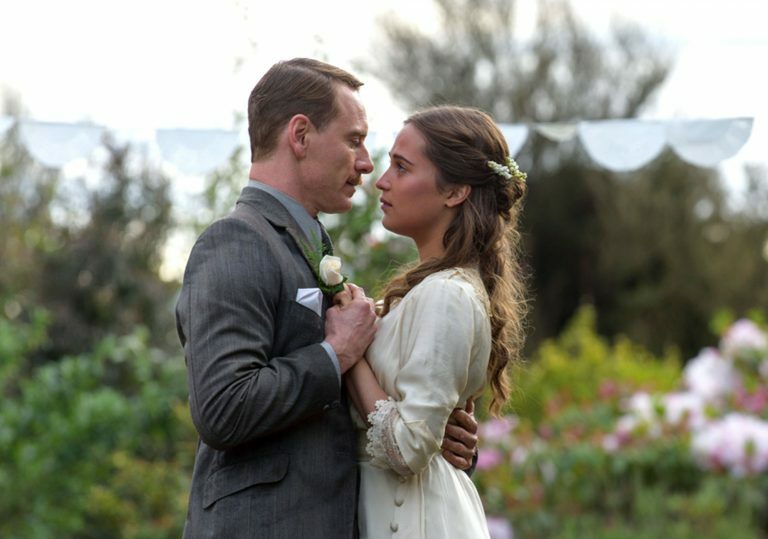 The Light Between Oceans has what you might call a ‘very big ask’ at its core – a decision made by its central characters which is so unlikely, so difficult to understand, and so undermining of their moral-underpinning as “good” people, that it’s a make or break thing. Every detail in the film offers either context for or repercussions of this specific moment. It could be something Cianfrance specifically keys in to a subjective reading – a dare to the audience to go along with the idea, or reject it outright. Personal experience may come into play as a way to help uncover the obscure character motivations. Or it they may come into play for the opposite reasons. Michael Fassbender stars as Tom, a bashful, angular World War One soldier who has been scarred by his stint on the front line. He accepts a job as a lighthouse keeper on a remote, stunningly scenic island off the Australian coast, hoping that an extended period of solitude will help him to gather his marbles. Though he has witnessed death, he is not immune to its horrors. Enter flighty, elfin charmer, Isabel (Alicia Vikander), who instantly falls for Tom and opts to keep him company. They marry. She softens him up, even shaving off his officious pencil moustache. They frolic in fields, chase after lambs, and embrace against breathtaking, peach-hued skylines. Almost as a formality, they attempt to have children, but twice fail. Wracked with grief, confusion and maternal yearnings, the pair decide to happily shirk the laws of the land and jeopardise their entire future by taking advantage of a very, very, very happy coincidence. It’s a tricky situation. The equivalent would be a gorgeous, immaculate white wall with a dirty brown splotch right in the middle. Even though it’s just one small aberration, it serves to spoil the entire wall. There’s a lot of good work here, not least the enamelware and Bakelite 1930s production design and the fresh, bucolic cinematography by Adam Arkapaw. Though much of the film focuses on Vikander and Fassbender as they emote hard for the camera, it’s a supporting turn by Rachel Weisz (who is on a major roll at the moment) which delivers far more coiled nuance and unaffected emotion than the two leads. Ryan Gosling and Michelle Williams shine in this emotionally bruising relationship drama from Derek Cianfrance. Gerda Wegener shocked the art world in the 1920s with her progressive and provocative paintings. Ryan Gosling puts the pedal to the metal (again) in this over-reaching melodrama from the director of Blue Valentine.